We didn’t receive just one new dress from Casablanca, but we received three amazing dresses! 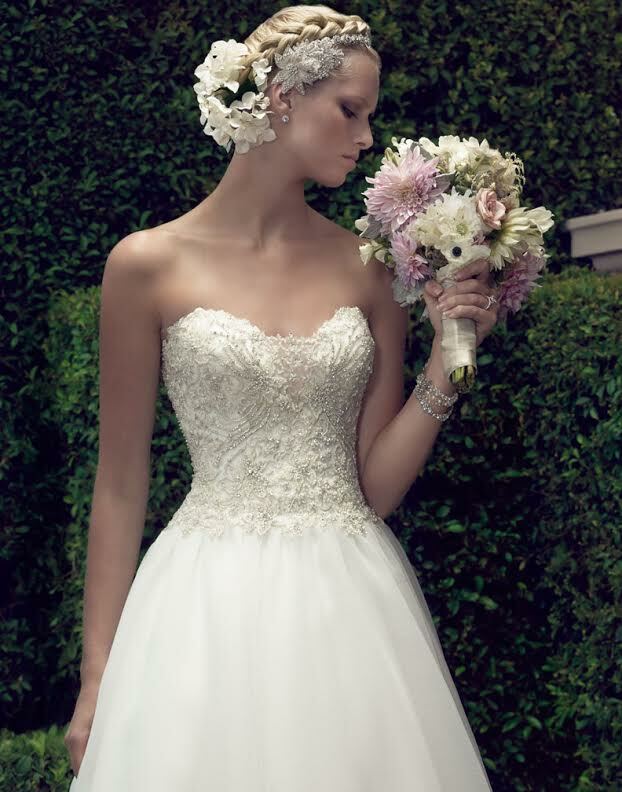 We are thrilled to showcase the new styles from Casablanca in our store for our brides. They vary in style for all types of brides. Our first dress offers a beautiful “V” neckline with wide straps that lead to a unique sheer lace back. The fitted silhouette leads to a train that expands to match the back with sheer tulle and lace appliques. We love the style and detail of this dress! The second dress that is new to Blue is perfect for a princess! It has a sweetheart neckline with a small sheer illusion triangle panel in the center. The fully beaded bodice plunges to a “V” in the back giving it a beautiful shape. The Crepe Organza skirt is the perfect size for any bride! Our last dress that we received is a stunning fit and flair lace dress! It has a high neck and backline with a sheer look and added lace. The dress has a vintage look to it with buttons down the back to the natural waist. A scalloped trim adds the perfect detail to this fabulous dress! Casablanca has done it again with these three gorgeous dresses! Make your appointment today to try them on only at Blue!